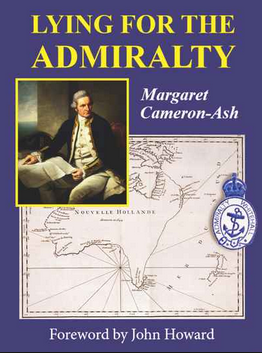 The book’s title is Lying for the Admiralty (Rosenberg, Sydney, 2018) and instead of a subtitle to spell out its subject matter, its cover has a portrait of Captain James Cook and a map of New Holland with its east coast uncharted, as it was before the great navigator’s first expedition. For a brief moment I thought this might be another assault on Cook, adding to the indignities his reputation suffered from the graffiti attack on his statue in Sydney last September. The accusation of lying sounded like the now well-entrenched leftist campaign to discredit him on the 250th anniversary of his epic voyages of discovery, which began when he left Plymouth Dock on August 26, 1768. Author Margaret Cameron-Ash quickly dispels any such thoughts. Her introduction confirms that Cook was not only a great man but a loyal English patriot who was not above preparing charts, log books and journals which, with the approval of the British Admiralty, provided misinformation to deceive the navigators of foreign powers. Cook was a player in what Rudyard Kipling later called the “Great Game” of spying and deception in the geopolitical rivalry among the European powers for maritime supremacy. Cook’s discovery of the Australian continent’s east coast, and the information he kept secret about it, were critical manoeuvres in this rivalry. This is both a compelling new take on the political climate behind the founding of Australia and an exciting, page-turning work. It is easily the best book I have read all year, and one of the best in many a year. It is located within the same revisionist version of Australia’s origins that Alan Frost has been pioneering since the 1990s in his books Botany Bay Mirages, The Global Reach of Empire and his recent popular summaries Botany Bay and The First Fleet. In joining this company, Lying for the Admiralty solves some problems that Frost himself found difficult. Cameron-Ash demonstrates clearly how Cook discovered both Bass Strait and Foveaux Strait in New Zealand but deliberately misled readers by drawing maps that treated both Van Diemen’s Land and Stewart Island as peninsulas of the land to their north. His concern was that if these islands were known to be separated by straits from their adjacent mainlands, the French could repeat their previous tactics in the Atlantic at Newfoundland and the Falkland Islands and occupy them, thereby inhibiting British ambitions in the region. For Australian readers, her most dramatic claim is that, rather than barely noticing the existence of Port Jackson (Sydney Harbour) on his way north from Botany Bay, recording in his journal that he sailed straight past its heads while two to three miles out to sea, Cook actually explored it closely over several days. He immediately recognised its strategic value and a magnificent prize for the British Empire. He kept its existence entirely to himself and the Admiralty. After the Seven Years War (1756 to 1763) which divided Europe into two opposing coalitions, Britain and France continued their rivalry around the globe, from India to the Americas and the Pacific. Empire building became an arms race. In September 1763, Louis XV sent Louis Antoine de Bougainville to establish a colony on one of the Falkland Islands, the last site where Pacific-bound expeditions could then stop to take on fresh water and supplies, a strategic necessity for those vying for power in the South Seas. Advised by one of his Versailles spies of France’s plan, the British Secretary of the Admiralty, Philip Stephens, sent Captains John Byron and Samuel Wallis on two ships to plant a colony on the other Falkland Island, and to then explore the Pacific to find the legendary Great Southern Continent. Byron did his duty on the Falklands but then circumnavigated the globe without further success. Wallis, however, went on to discover the islands of Tahiti. Cameron-Ash calls Tahiti the pivotal discovery in Pacific exploration. No longer would navigators have to race across the ocean like Byron in fear of running out of food, water and wood. Tahiti was a base where ships could fill their barrels with fresh water and local foodstuffs, and ships could be repaired. The French thought the same. Just ten months after Wallis’s discovery, Bougainville dropped anchor in Tahiti too. The French embassy in London had bought the plans for Wallis’s voyage from two of his crew for 150 guineas and sent Bougainville after him. The British did not know Bougainville had reached Tahiti until James Cook got there the following year and was told by local chiefs. The public purpose of Cook’s expedition was to record the transit of Venus, an astronomical exercise to calculate the distance of the Earth from the Sun. Most of the expeditions to the Pacific at this time were made by ships laden with astronomers and naturalists ostensibly on Enlightenment-inspired scientific expeditions, but also with instructions, mostly secret, to take possession of those Pacific Islands useful for trade and navigation and to keep searching for the increasingly dubious Southern Continent. Like Byron and Wallis, Cook had reason to distrust the loyalty and obedience of his crew to keep sensitive information confidential. 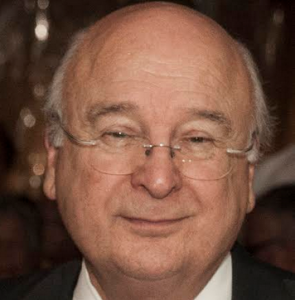 Cameron-Ash says Richard Orton, Cook’s clerk and the very man who made copies of his journal for the Admiralty, later sold details of Cook’s voyage to East India Company captains. Moreover, an American midshipman aboard the Endeavour, James Matra, published an unauthorised account of the voyage, giving away many details. The Admiralty itself did not allow publication of Cook’s journals at all, only a bowdlerised version written in 1773 by James Hawkesworth. The biggest secret the Admiralty kept to itself, Cameron-Ash argues, was the naval value of Sydney Harbour, which she thinks Cook must have revealed in an interview with Admiralty Secretary Stephens after he returned home. She did not find this in any of Cook’s or Stephens’s papers but says the information was revealed by Arthur Phillip in letters to the Home Office before leaving Britain with the First Fleet in May 1787. Phillip said that if he found Botany Bay suitable he would locate his settlement there but, if not, he would “go to a Port a few Leagues to the Northward, where there appear’d to be a good Harbour, and several islands”. Now, the only way anyone could know there were islands in Sydney Harbour was to either enter it by sea and go well inside, at least as far as Bradley’s Head, or else walk around the hills above its shoreline. None of its islands are visible outside the heads of the harbour, let alone from the Endeavour two or three miles out to sea, the sole vantage point given in Cook’s journal. In a chapter she acknowledges is largely conjecture, Cameron-Ash argues that during the eight days he spent at Botany Bay, Cook’s journal is uncharacteristically vague about his own movements. She argues it would have been easy for him to walk several times along the six miles of Aboriginal tracks to Sydney Harbour. From high points on Bellevue Hill, Bondi Junction or Pyrmont Peninsula, he could have seen from the Heads to the Parramatta River. Once he found what he wanted—better than even the famed harbour of Trincomalee in Ceylon—Cook set sail for home up the east coast of New Holland. He would definitely not show off his prize for his crew to see. Until Britain could protect it by planting a garrison on its shores, he would conceal it by omitting it from his charts. He never stopped to investigate any of the other fine harbours he later passed in the habitable temperate zone up the coast: Broken Bay, Newcastle, Port Stephens, Port Macquarie. “They surely required investigation after the shortcomings of Botany Bay,” Cameron-Ash says, but the Endeavour never entered any of them. We got into Port Jackson early in the afternoon, and had the satisfaction of finding the finest harbour in the world, in which a thousand sail of the line [battle ships] may ride in the most perfect security. Pretty obviously, this was what Phillip expected to find all along. The only source that could have informed him was the Admiralty, who got it from Cook. Nonetheless, lacking a telling document from either Cook or Stephens, Cameron-Ash will have a hard job convincing everyone else she is right. Some more document finds are much needed for her case. But her account already fits better than any other with what we now know about the historical forces driving the race for imperialism in the Pacific that eventually founded our nation. Everyone assumes espionage was invented by Ian Fleming. It has been going on for 10,000 years. Cook was given secret orders only to be opened when at sea! Why? Because it was standard practice. What the crew and passengers didn’t know could not be leaked to those perfidious French. This is the sort of story one hopes is true.